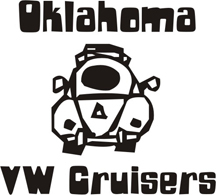 Oklahoma Vw Cruisers • Backup engine or just likes to mow? Saw this one at the Classen Grill a few weeks ago. Re: Backup engine or just likes to mow? Can't you guy's figure anything out. He opens up the sunroof, starts the mower, and has Redneck air conditioning. 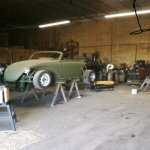 I was thinking it was an early prototype for a hovercraft! lol this guy lives down the street from me, his name is Houston, he's a older guy that has a long grey bread and always wears a captain's hat, he loves his VW's, one day i saw him have a couch tied to one of his bugs.